IAN ERSKINE is definitely one of the most well known names in the world of Betfair Football Trading. From being the founder of well known site, FTS Income to his professional gambling exploits that have seen him make over £1 million in profits over the past 6 years. 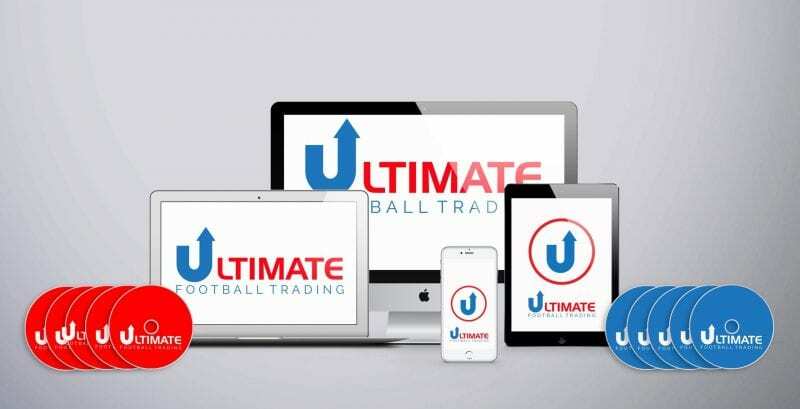 As you can imagine, Ian does not give too many interviews so it was a real privilege when he found the time for a quick chat with Sports Trading Life. We were most intrigued to find out more about the forthcoming live seminars that Ian is hosting himself. Read on and meet the 9-5 gambler…. Hi Ian. Thanks for taking the time to talk to us. We may as well start from the beginning …. How did you first get into gambling overall? How long have you been a football trader on Betfair? Are you able to say how much profit you have produced since becoming a professional gambler? Why do you think you have been successful on Betfair? When did you first launch FTS Income and what was the thinking behind it? How has Lay The Draw evolved since you first started doing it? Is it getting harder to make a profit from? Why is it that so many people struggle to make money from gambling and trading? Is it a mindset issue? I have read your blogs and was entertained by some of the emails you get from people who are obviously losing and then blame it on you. What is your view on this? Do you think it is best to gamble aggressively if you want long term success? What are the future plans for the FTS Income site? Can you tell us more about the FTS Roadshow seminars? I always had an interest in gambling, as a young boy my dad always bet on horse racing. It was on most Saturdays back then on Grandstand so I could not get away from it. I was like most. I fumbled around and lost until about 2006 when I started becoming proficient on Betfair which had been about for around 5 years then and I had dabbled in and out before that. Since I went full time I have never made less than a six figure sum per year and to date I have profit in excess of 1.4 million over the 7 years. This is an average of £200k per year. I think discipline and mindset are my greatest assets. I accept the fact you have losing days since I keep records and play the game long term. Most people give things a week or less and then move on. I cover this with an example in the seminars of where I carried on this year using a particular method and it has netted me in excess of 40k in 6 months, someone I know had exactly the same information and gave up after 2 weeks in January when the weather was iffy so racing was a bit inconsistent. Most people have no discipline, can’t ride out losses and manage their money abominably when they do bet. I launched it early 2007, people struggle to believe this but this is the truth… I knew nothing of the online world particularly in reference to gambling and a mate of mine who had done some internet marketing courses thought it would be good so he talked me into it. He set it all up and took a commission. I admit we did it all wrong and the marketing was over the top but I had no input on that part. However, now we run things much better and want to focus on education more then anything. I wouldn’t say it is harder as if you are on the ball and set a trading plan then the method works. It is the fact that in the early days the margins were better. You would see a goal go in and the mugs would shoot the market out to 8 or even 9, now it is around 6 on average. I bet bigger stakes now so in effect my earnings are more but the margins are tighter. Betfair has lost custom recently as a lot of the early idiots have gone and the introduction of too many markets thins the money out that is available you just have to be selective on games. I play less games for more money these days. Absolutely – 99% of it is people’s attitude and behaviour. It was not until I got involved online that I realized how (with the greatest respect) silly people can be. If you want to earn good money you have to treat it like you would any other profession of similar income. Most are looking to get rich quick and think it is easy. Gambling can be a very lonely life at times but the good days more than make up for the bad times. Sorry for the simple answer but everyone is responsible for their own money. I need to be tough on this as it is too easy to blame everyone else. Unfortunately when it comes to punting people don’t like to take responsibility for what they do. Nobody forces anyone to have a bet. I think you do have to be aggressive when the time suits, yes. You have to maximize your winnings and when people are too cautious they end up not winning enough on their winning bets trades to counter the losing ones. Betting at the levels I do I have become more involved with numerous pro gamblers and they are ruthless when they have to be, I have learned from them and horse racing for example is now an area where my income has grown. We are fully revamping it as I write and hope to have it back online soon. The focus will be on education, dealing with people who really want to learn and give this a proper go. There is money to be made for anyone who applies the right skills. The seminars are the start of that education and for me sitting down face to face with someone I can convey a lot more than I can in emails where context gets misunderstood and things get forgotten. I can cover many things in two days and answer more questions to a group where they will retain the information better. I want to find and make a few people successful and gradually change what they do for the better. I am really looking forward to them and think we will really make great strides with some people. Excellent interview, the first time I have read an interview to Ian, thanks!